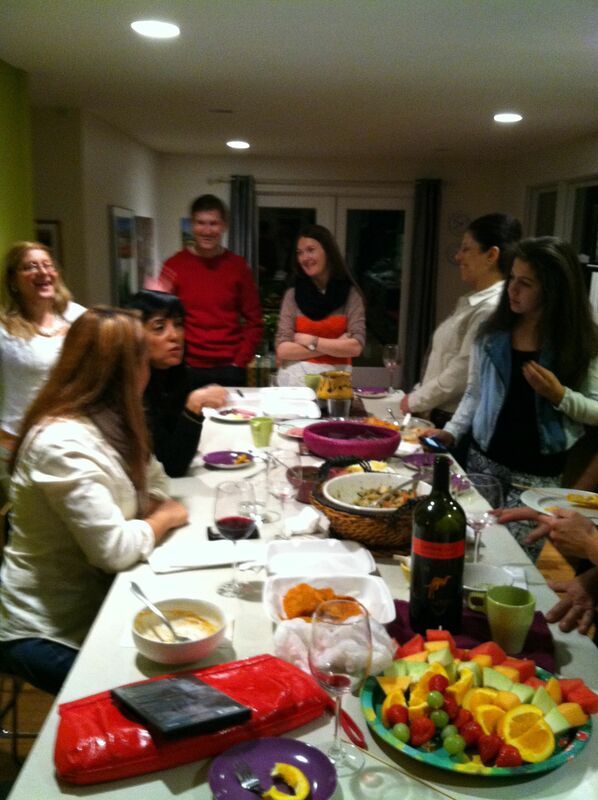 Hélène Viglieno Conte hosted “The Woman with the Five Elephants”* movie potluck at her home recently. The film (a shout out to Jill Sommer who provided the disc) unravels the mystery behind the life and work of Svetlana Geier, the world’s greatest translator of Russian. Offerings ranged from Ana Gallardo’s fiery salsa and to Ohio’s own trail balogna with swiss cheese. Here are takeaways from the event. Lubna Al Allaf met Catherine Piña of Cleveland Municipal Courts and discussed job opportunities. Hélène and Phil’s hospitality kept the table talk going for a better part of the night. Boris Bosjnak offered to roast pig for another gathering. Network and traditional cuisine make for a fine mix with newcomers and seasoned linguists. Keep an eye for the next NOTA event at http://www.notatranslators.org or this blog. HOW DO I JOIN NOTA?